A great favourite with our guests, the Hotel Harfenwirt is run by our good friend Herbert Thaler who entertains weekly with his unconventional harp-playing in the nearby Gasthof Bichlwirt. The hotel has a great location opposite the Tennladen lift and nursery slopes. The ski bus stops outside making it very easy to explore the whole SkiJuwel area. The Harfenwirt has one of Niederau's best locations, right opposite the Tennladen lift. The hotel has a swimming pool and modern wellness centre. The bedrooms have a mix of traditional and modern style and almost all bedrooms have balconies. The food at the Harfenwirt is a mix of classic Austrian dishes and hearty international meals that will be more familiar and there's always a vegetarian option too. Positioned right opposite the slopes, lifts and ski school, you can't really ask for a better location. 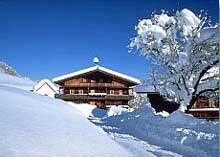 The Hotel Simmerlwirt is also under a minute to the ski bus stop - which will whisk you down to Oberau and Auffach to the newly extended ski area all covered on your lift pass. The family-run Hotel Simmerlwirt's focal point has to be the heated outdoor pool and modern wellness centre, perfect for a bit of rest and relaxation. Alpenland N/A Typically Tyrolean, the Hotel Alpenland is everything you'd expect from a family-run hotel. It’s in one of the best locations in Niederau at the foot of the beginner runs. Dinners are hearty Tyrol dishes made to traditional local recipes, designed to comfort and satisfy the most demanding of tastes. Top off your days staying at Hotel Alpenland with a few evening drinks at the hotel bar, or head out to explore Niederau's small but lively nightlife scene. The 3* Hotel Harfenwirt is found in a superb slope-side position, right next to the Tennladen lift, surrounded by mountains and forests in the picturesque Wildschönau Valley. The restaurant at Hotel Harfenwirt includes a sun terrace and serves classic Austrian cuisine and Tyrolean specialities. Sonnschein N/A Set in a beautiful location, the family run Hotel Sonnschein is just a five minute walk from the resort centre. Offering superb value, the hotel’s spacious rooms are ideal for families and has it's own in-house ski hire shop which is open until late for maximum convenience. 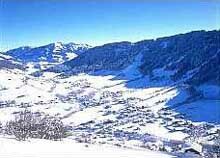 The Sonnschein is just a short walk from the centre of Niederau, the lifts and ski school meeting place. Sporthotel N/A If you're after a fun ski area, nearby ski lifts, a bed for the night, some tasty food and the best nightlife in the resort, right on your doorstep, then you need look no further. 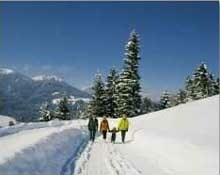 Wastlhof N/A This friendly family-run hotel offers a charming Tyrolean atmosphere and comfortable accommodation.